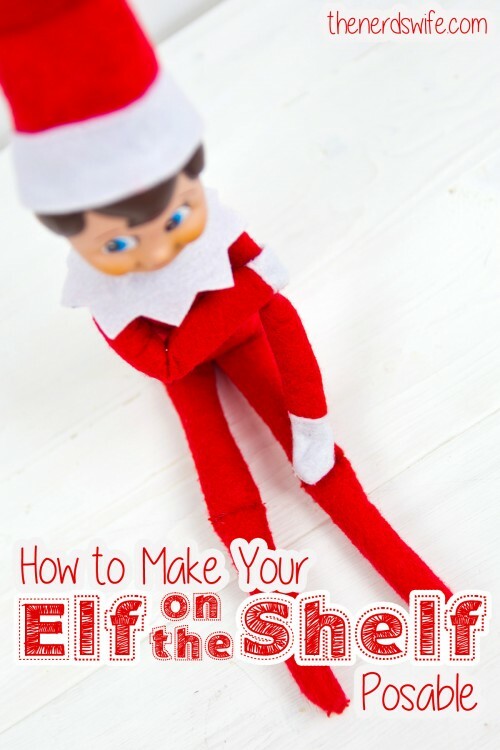 One of the first things a new Elf owner needs to know is How To Make Your Elf on the Shelf Posable. This will be our first year having an Elf for our family, so I’ve been getting ready for his appearance, and this minor elf surgery was our first step! 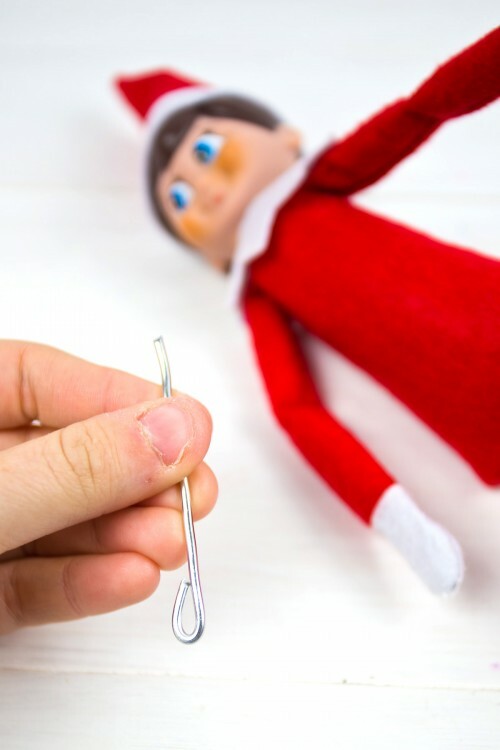 Use the seam ripper to remove the seam from one of your Elf’s hands. Loop one end of the floral wire and measure cut the wire to fit inside your Elf’s arm. 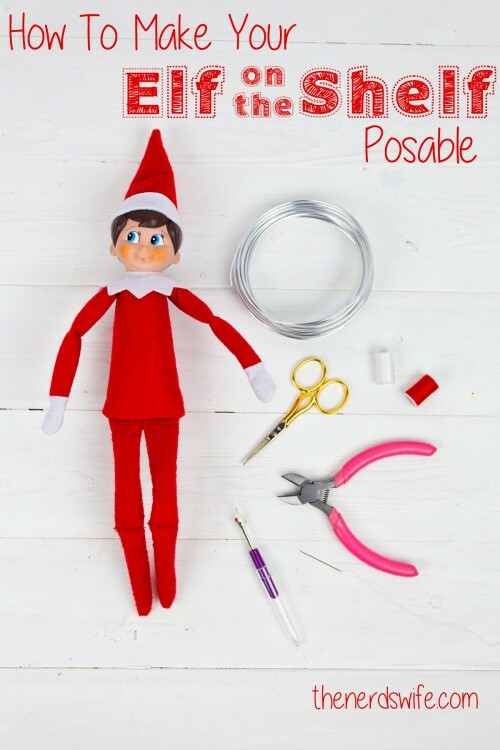 Slide the wire inside the arm so that the loop will be inside your Elf’s hand. 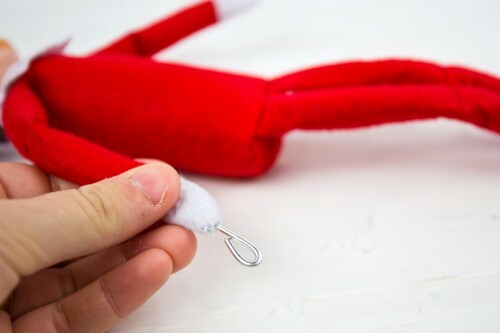 Use the white thread and sew the Elf’s hand closed. 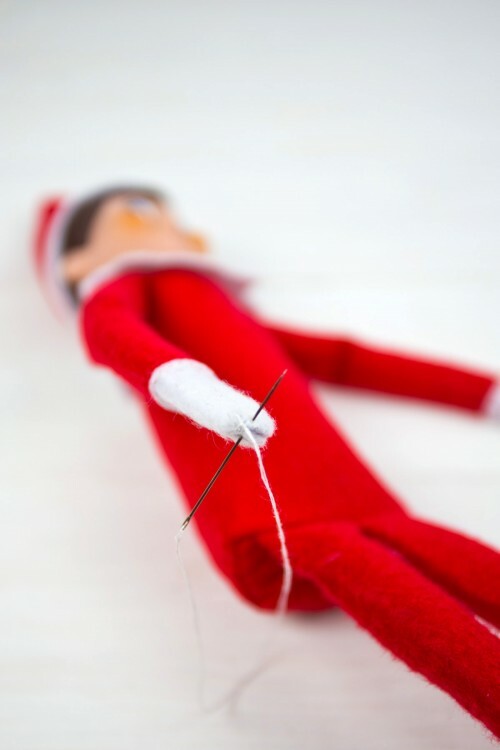 Repeat with the other arm and the Elf’s legs, using the red thread to close the legs. 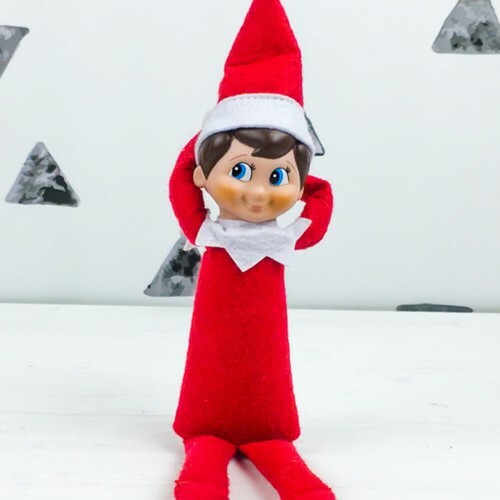 Now your Elf’s arms and legs can be bent and twisted! You can bend the wire so that he holds his own hands, post his arms behind his head, and more! 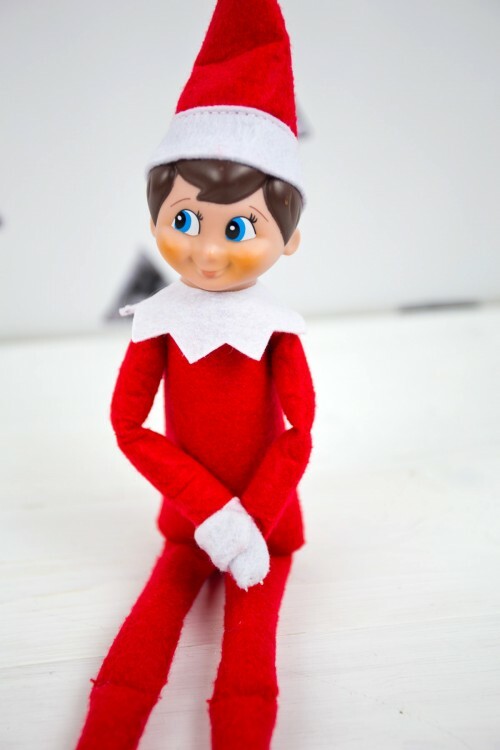 What plans do you have for your Elf on the Shelf this year? 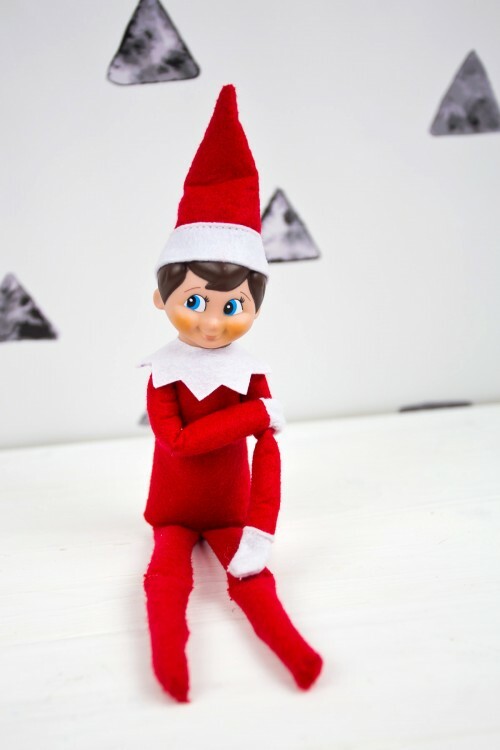 Stay tuned for some more fun Elf on the Shelf ideas!